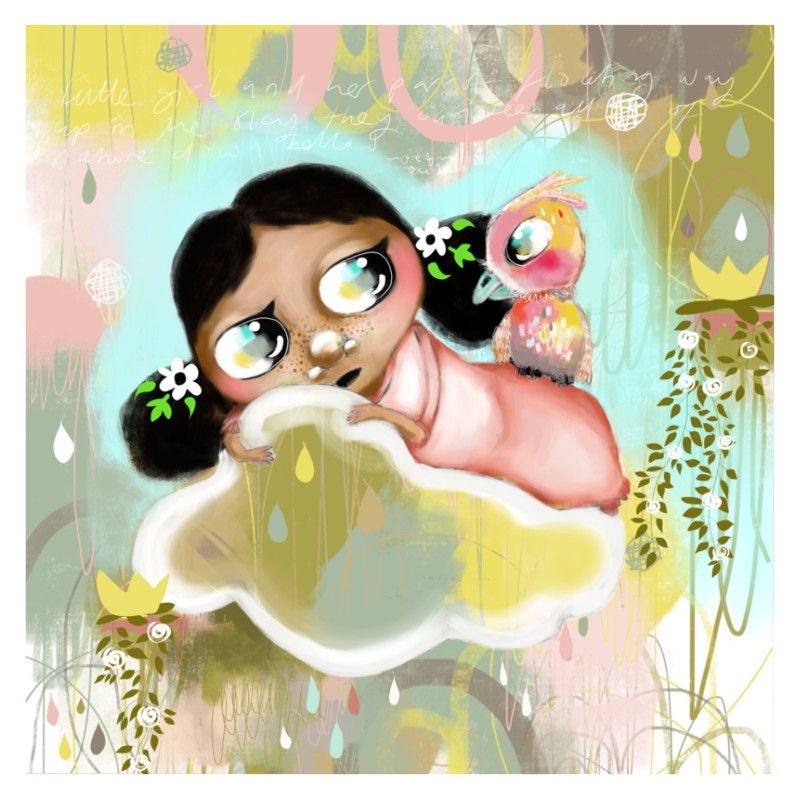 Finished my latest cutie entitled ‘Floating On A Cloud’. I am off to drool on the items I can put her and her parrot friend on. Link here to see more in my Redbubble Merchandise shop.